On average, a commercial fleet saves $16,000 for every vehicle that is replaced with hybrid or electric. There are a lot of surprising facts and figures out there regarding vehicle use, fuel consumption and a plethora of other factors surrounding commercial and fleet vehicle ownership. We came across some numbers today that really surprised us regarding Electric Work Trucks in Pittsburgh. The cost savings on electric fleet vehicles over a seven year average are astronomical when multiplied across a fleet. More than that, Ford has put a quarter of a billion dollars toward developing a hybrid/electric option for all of it’s heavy-hitting Super Duty and medium duty trucks. According to a Canadian study from 2013, the net savings for a fleet of vehicles that slowly transitions their gas or diesel commercial vehicles to hybrid/electric averages a savings of $16,000 per vehicle. This is an average savings over a seven year life of the vehicle. A lot of these savings come into play with idling at stoplights and on work sites, which nearly half of of a vehicle’s mobile life is spent doing. The same study uncovered that 94% of all fleet routes traveled on a daily basis in this country can be managed with an electric vehicle. 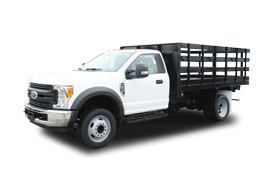 So where does Ford stand on developing a line of hybrid/electric work trucks that don’t sacrifice durability or performance? Like with most things, it all comes down to the market. Ford’s board of directors recently announced that over 70 of the nation’s largest utility companies have committed to investing at least $250 million toward increasing the use of electric vehicles in their fleets in the next five years alone. This new pull on the market will certainly help urge Ford to push out some new, cutting edge products. Technically, if we’re splitting hairs, an all-electric 2015 Ford F-150 does already exist. It was actually unveiled last june at the annual Trend Conference in Detroit. And one driver got to take it on an indoor test drive. Take a look! If you’re not overly concerned about towing and payload capacities, it might be a good option for some of the folks on your team. While we wait on the development of super efficient hybrid/electric options for work sites, it’s important to know your options when it comes to Alternative Fuel Trucks in Pittsburgh. 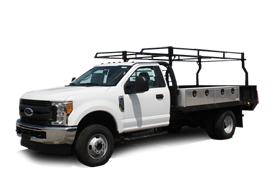 We have a skilled team of Service Professionals who regularly convert commercial vehicles to operate on CNG. 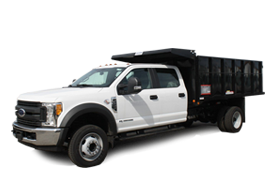 We have some of the only certified CNG Conversion Specialists in the country working right here at Allegheny Trucks. Don’t hesitate to contact us if you’d like a clearer picture of all the options currently available to you. Every dollar counts when you’re managing a business and/or an entire fleet of vehicles.